Born in the Guinean capital of Conakry, Naby Leye Keïta spent his formative years progressing through the youth ranks of local team Horoya Athlétique Club’s academy. Standing at just 5ft 8, the central midfielder casts a diminutive shadowing figure on the pitch, however, at just 21 years of age he has shown just why he is one of the brightest prospects coming out of African football with some larger than life displays in recent years. Naby’s talent was first evident for all to see during his playing time in Africa, leading to the youngster being capped by his native Guinea before even donning the red and white first team strip of Horoya. International recognition at such a tender age would be the harbinger for greater things and it wasn’t long before Keïta held greater aspirations of playing in Europe. With his home nation being a former French colony prior to gaining independence in 1958, it perhaps came as no surprise to learn his next career move saw him plying his trade in the southern French commune of Istres. Keïta rose to prominence via a string of positive performances throughout the 2013/14 Ligue 2 campaign which began with a debut goal in a 4-2 home victory over Nimes. The player quickly made a name for himself as a box to box, combative midfielder capable of covering mass ground but also intricate passing. His tenacious appetite for the game coupled with flashes of fleet-footed brilliance caught the eye of recruiters at Austrian outfit Red Bull Salzburg. 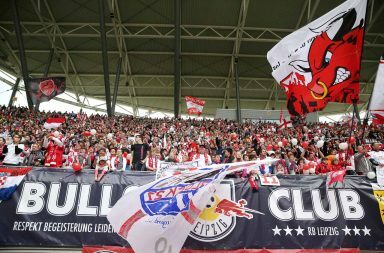 Having been rebranded by the energy drink conglomerate just 9 years prior, RB Salzburg quickly asserted themselves as a dominant figurehead in the nation’s fourth largest city despite waves of criticism from football fandom the world over. For many, Red Bulls takeover’s in both Continental Europe and the U.S signified the unwelcomed rise of commercialisation within the sport. Amongst all the animosity, one thing they can be accredited with is improving the standard of various leagues through meticulous scouting, and in Keïta, they had unearthed another gem. Signed in the summer of 2014 for just €1.5 million, the teenager would go on to help his new club lay claim to consecutive domestic league and cup titles. He struggled at first, being deployed in a deep-lying defensive midfield role by the then manager Adolf Hütter before later moving to a more advanced position. This shift of saw Keïta flourish and highlights why comparisons with Chelsea star N’Golo Kanté are nothing more than presumptions built on their similar statures and energy levels. In truth, although he prides himself on interceptions, big tackles are not really Keïta’s forte. His real strengths lie in his speed of play and footballing intelligence. 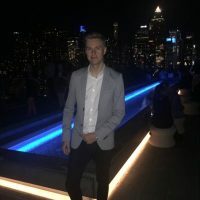 The athletic midfielder has a fantastic knack of making clever runs to draw opponents out of position before switching the direction of play quickly and it’s this skillset which has led to more astute observers claiming his style of play bares resemblance to the great Barcelona midfield maestro Andres Iniesta. Keïta’s second season in Austria signalled the arrival of current manager Óscar García. The former Brighton and Watford coach instantly identified Keïta as a sublime talent and further allowed Naby license to roam in an attacking role. His encouragement and confidence proved to be well-placed with the Guinean scoring 12 times and registering 8 assists through the campaign. Inevitably Keïta’s performances did not go unnoticed. In keeping with modern trends, the all action midfielder was plucked from Salzburg and placed at another Red Bull club, the newly promoted Bundesliga side RB Leipzig. A €11 million price tag along with the rise in playing standard could have easily overwhelmed the young star but it speaks volumes of Keïta’s character that he has taken the move in his stride, hitting the ground running, literally. Leipzig currently sit top of the German first division having made light work of their opposition to date. Manager Ralph Hasenhüttl has adopted a high-tempo pressing game akin to the natural culture of the Bundesliga, a strategy that suits Keïta down to a tee. Having been utilised in between the lines of attack and defensive midfield in a 4-2-2-2 formation, Keïta is exemplifying his panache weekly and seems destined to take his career beyond East Germany’s only Bundesliga side. The 2017 African Cup of Nations is set to boast no fewer than 37 Premier League players but with Nigeria and Guinea failing to qualify, it’s fair to say that some of the Continents biggest stars will not be showcased. Following in the footsteps of great midfielders like Michael Essien and Yaya Touré is no mean feat, although the 21-year old’s continued development has seen him mentioned in that elite category. Moreover, Naby Keïta’s ongoing progression represents the same anecdote his hometown club Horoya symbolise through the white in their kit. Great hope. 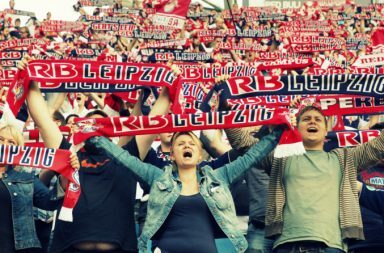 RB Leipzig: The red bull is coming, but is that really so bad?